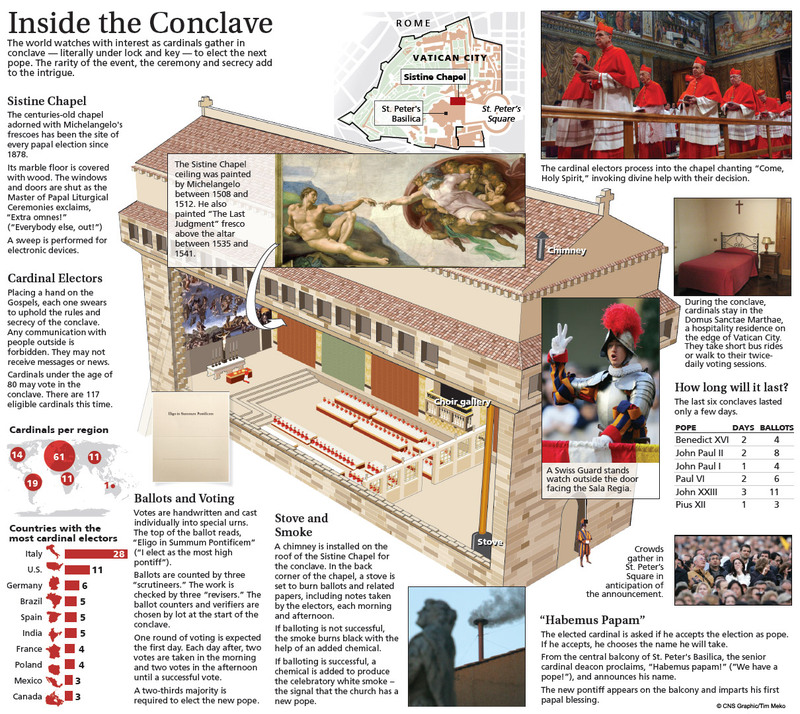 How the Conclave proceeds : A very nice and concise animation! Go and visit this site, which offers a very good and detailed though simple explanations on the way a Conclave proceeds. Not only that it is easy to follow, step-by-step from the beginning of the Conclave to after a new Pope is elected, I believe it’s quite neat too, with all the animations they did for the occasion. Good job Vatican Insider! Cardinal Angelo Scola : My favourite to be the next Pope. The leading Italian candidate, Archbishop of Milan, and former Patriarch of Venice. He is also a spiritual and intellectual disciple of our beloved Pope Benedict XVI, with similar views on the liturgy. Best person to continue the work that has been started by Pope Benedict XVI on ‘reform of the reform’ and other issues of the faith and the Church. Cardinal Marc Ouellet : Canadian, Prefect of the Congregation for Bishops, former Primate of Canada and Metropolitan Archbishop Emeritus of Quebec. My second favourite and alternative to Cardinal Scola to be the next Bishop of Rome, and also widely regarded as the top non-Italian and non-European candidate. He is also close to our Pope Benedict XVI in his views and intellectually as well, though may be not as close as Cardinal Scola is. He has done a great job at the Congregation, and has seen the appointment of bishops who are not just good administrators, but also good in intellect and faith as well. Cardinal Gianfranco Ravasi : Italian, President of the Pontifical Council for Culture, well-known for his activity in engaging the media and the new media, particularly through the Internet, via Twitter and other social media in the approach for new evangelisation, and also has done great works among the youth, who are the Church’s future. May have chance if Cardinal Scola’s candidacy does not make it. Drawback is that he has less experience, being only less than 3 years as a Cardinal and about 6 years as a bishop, with little experience outside the Pontifical Council for Culture. Cardinal Tarcisio Bertone : Italian, Cardinal Secretary of State. The prime Cardinal in the Roman Curia, the second hand of the Pope. He is seen as a strong leader, but many has seen that he is a rather dominating persona, which may be incompatible with the office of the Papacy, and he is also rather too old at 78 going 79 at the end of this year. As Pope Benedict XVI was elected just on his 78th birthday, just like Cardinal Arinze, who is already above 80, the chance of the College of Cardinals to elect someone too old is getting more remote, especially considering the reason for Pope Benedict XVI’s decision to retire and renounce the position as the Bishop of Rome. Cardinal Timothy Dolan : American, Metropolitan Archbishop of New York. Jovial and lively, reminds me much of Blessed Pope John XXIII. Conservative in issues and outlook. However, being a Cardinal from the world’s only superpower and also the troubles in the American church makes his chances rather slim. However, his youth, his charisma, and his position as the President of the US Catholic Bishops’ Conference may boost his chances to be elected. Cardinal Raymond Burke : American, Prefect of Supreme Tribunal of Apostolic Signatura (or the Supreme/Chief Justice of the Holy See). Relatively young and traditional, worn the traditional Cardinal dress (galero and cappa magna) and one of the more-traditionally minded Cardinal in the College. Often celebrated the Mass in the Extraordinary Form. May be a good choice for those looking for a more traditional candidate as the next Pope, to continue the ‘reform of the reform’ of Pope Benedict XVI. Cardinal Christoph Schonborn : Austrian. Metropolitan Archbishop of Vienna. Long seen as the contender for the Papacy, even since the 2005 election. Still rather young at 68 (even younger during the 2005 conclave). However, he is a controversial figure, often recorded with the liturgical abuses (he himself may not mean so, as his funeral Mass for the late Archduke Otto of Austria was done very reverently and liturgically correct), such as the youth Mass with rock concert/party style-Mass and not-so-traditional types of worship, and then with a German currently as the Bishop of Rome, it is less likely that the Cardinals will elect another German as Pope, even though he came from neighbouring Austria. Cardinal Francis Arinze : Nigerian, Former Prefect of the Congregation for the Divine Worship and the Discipline of the Sacraments. Often touted recently in the media with Cardinal Peter Turkson, another African (Ghana), due to the intense media bias on the possibility of having an African Pope in this Conclave. Not to be biased, but what the media often reported is not what is the actual happening on the ground. Main problem is, according to Universi Dominici Gregis, although it specifically state that he cannot vote as elector because he is already above 80 of age, he may still be elected, but considering that Pope Benedict XVI has resigned at the age of 85 going 86, the Cardinals will likely want to elect someone in their early 70s like Cardinal Scola or late 60s like Cardinal Ouellet. Cardinal Peter Turkson : Ghana (Africa), President of Pontifical Council for Justice and Peace. Seen by many as a strong contender, but with main issues regarding his frequent gaffes and improper comments regarding Muslim-Christian relations, which is a very important and delicate matter in the Church indeed. He was also censured somewhat for his screening of a clip that showed the rise of Islam in Europe last year, which quite a few Cardinals saw as fearmongering. In addition, his name, Peter, may bring about intense speculation on Petrus Romanus (Peter the Roman) in the Prophecy of St. Malachy on the Popes. Petrus Romanus, being the last Pope, will come at the time near the end of time, heading the Church in the time of persecution (as perhaps told in the Book of Revelations). As this last prophecy is not numbered, it is most likely that St. Malachy purposely did so / the vision given by the Lord purposely did so such that we know what’s going to happen, but not the exact time when the Lord will come again, so that we will always be ready for His coming. So, no, most likely we won’t have a Peter or Pope Peter in this time round. (Addition : Cardinal Turkson has also openly announced that he is ready to be elected if he is. Normally this is frowned, as this is seen as ambition, and incompatible with the will of the Holy Spirit. Remember that the papal conclave is not the same as the US presidential elections or any other secular elections, it is far above that). Cardinal Luis Antonio Gokim Tagle : Filipino (Asia), Metropolitan Archbishop of Manila. A young and new Cardinal appointed by the Pope at his last consistory last November. 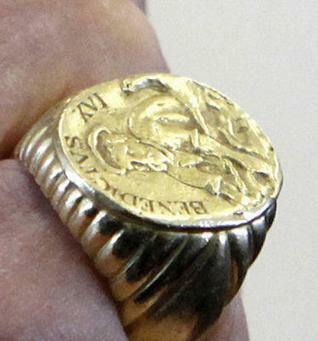 This may be seen by some as the Pope appointing his ‘successor’ but it is actually not so. I myself hope that he will be elected Pope, but not this time, maybe after the next one, and he can have the chance to be the 268th Pope instead (we are electing the 267th Bishop of Rome in this conclave). 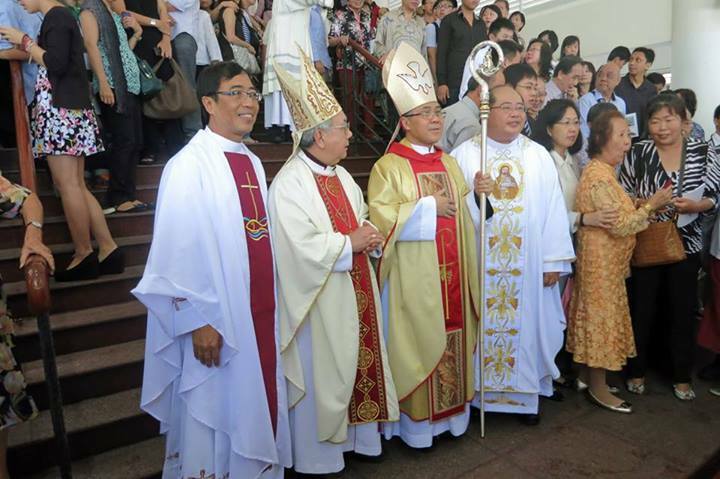 First is his very young age, and his relative lack of experience in both as a Cardinal and the Archbishop of Manila. I have very high opinions on Cardinal Tagle and was very glad when he was named a Cardinal last year, but to me, let Cardinal Tagle do great works first in Manila for many more years, and then, with all those experiences, then he can become an even better Pope next time. This list is still incomplete, and I will post additions from time to time. In any case, it is not man to decide who’s the next leader of the Universal Church, the Vicar of Christ. It is Christ Himself, through the Holy Spirit, and thus through the Cardinal-electors inspired by the Spirit who decides. Pray for them, and for the entire Universal Church, and for the whole world. Amen. Cardinal Marc Ouellet, former Metropolitan Archbishop of Quebec and Primate of Canada, who is now the Prefect of the Congregation for Bishops is my only other choice for the potential next Pope in the Conclave, besides Cardinal Angelo Scola, the Archbishop of Milan. Cardinal Ouellet is the top non-Italian and non-European in the Roman Curia, and represents the Roman Curia side of the candidacy, just as Cardinal Angelo Scola represents the non-Curial side of the candidacy. Cardinal Ouellet is a great theologian and has done many work in the field of theology and Catholic education. He has also done a great job in the Congregation for Bishops, and strongly committed to the cause in defense of life and the orthodoxy of the faith of the Roman Catholic Church. He is my only other choice other than Cardinal Scola, who has the best chance of being elected in my opinion. Let the Holy Spirit decides who will be the worthy 267th successor of St. Peter the Apostle, on whom Christ entrusted the keys to the Kingdom of Heaven and built His Church. Pray for both Cardinal Scola and Cardinal Ouellet too, may God be with them, and the rest of the College of Cardinals. Amen! When will the See of Rome become vacant around the world? Let’s pray then! I do not think many will be awake or stay awake, or at work, and busy at this time, but if you are awake or available, let us make this hour an hour of prayer, for our current Pope Benedict XVI, his to-be-elected successor, and for the whole Church. My personal opinion on who will be the next Pope? Cardinal Angelo Scola, former Patriarch of Venice and now the Archbishop of Milan. 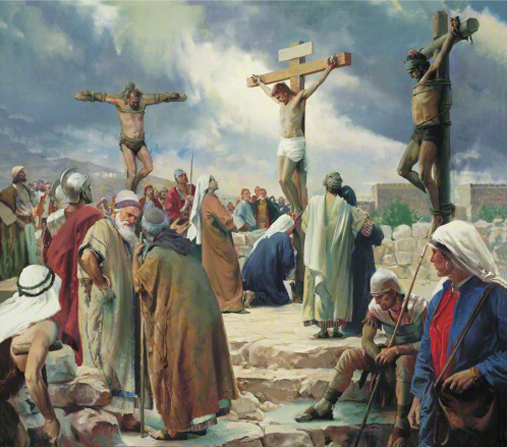 I have been watching his Masses and homilies at Youtube, and they were great. He does have the potential to be a good Pope. Nevertheless, it’s up to the Holy Spirit to decide who will be the 267th successor of St. Peter as the Bishop of Rome. We can pray now for the Holy Spirit to descend on all the Cardinal electors. May God be with them, especially during the Conclave session.